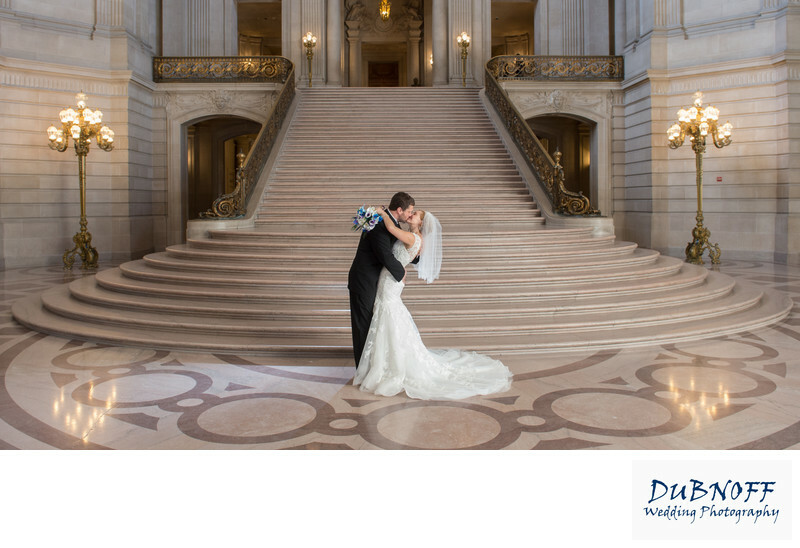 The Grand Staircase at San Francisco city hall is one of the central points of the whole building. Most visitors tend to collect in the area and also sit there. This fact, coupled with other photographers wanting to take photos of the staircase makes it challenge to obtain an image such as the one above. A little bit of luck is usually involved plus waiting for the right moment for the crowds to clear out. We would also suggest you book your ceremony for late in the afternoon or early in the morning to have the best chance of getting an image like this one. The fortunate thing about this building is that there are many other beautiful spots to take fantastic photos.